This special issue of the JHRSW “The Challenges of Migration in Southeast Europe: Social Workers as Promotors of Human Rights in the Times of Rising Anti-migration Sentiment in the Countries of South East Europe” is a timely analysis of the different causes and consequences of migration processes and social work responses. It focuses on the countries of Albania, Bosnia and Herzegovina, Croatia, Greece, Kosovo, Macedonia, Serbia, Slovenia and to some extent on western countries which have become the final destinations for refugees fleeing the countries of the Southeastern Europe in the last three decades. The region of the Southeast Europe (SEE) serves as an internationally less explored area of academic interest in social work education, research and practice and is at the same time historically the region of migration. Millions of people fled the region during the disastrous wars of the 1990s in the former Yugoslavia; 4 million refugees sought refuge in the West and many became long term residents and eventually citizens of the receiving countries. Some, however, experienced a compulsory return to their counties of origin (mostly to Bosnia and Herzegovina, Kosovo and Albania) after having lived a decade or more in a host country. The authors’ work reflect the crosscurrents of challenge, responsibility, political contentiousness, economics and their own national identities – who are we and what do we want to be in the future. The evidence shows that the “welcoming culture” (in Germ. Willkommenskultur, the term that expressed the positive attitudes toward refugees and promoted antidiscrimination in 2015) was almost absent in the governmental structures in transit countries of SEE; some postsocialist states known for their anti-refugee and anti-migrant sentiments were among the first in Europe to erect razor wires and fences. After the closure of the Balkan Refugee Corridor in 2016 the situation worsened not only in the region of SEE but across Western countries and the welcoming culture turned into ignorance and sometimes hatred and militarization of borders became part of everyday life (see Map 11). The special issue of the JHRSW emerged primarily from the important work being done by a group of early career women academics who, in 2013, formed a collaborative network to advance knowledge on a variety of topics with a focus on Southeast Europe and to engage in leadership development for the purpose of furthering educational reform in the region. The network has become known as the Southeast Europe Academic Women’s Leadership Network. The initial step toward actualizing this special issue was a symposium held in Zagreb, Croatia in October 2016, that attempted to illuminate the challenges of the most recent migrations and to place them in the frame of social work practice and the roles and responsibilities of social workers in addressing this challenge of human migration. The European Association of Schools of Social Work (EASSW) and the Dennis A. and Julia M. Watkins Foundation provided funding for the Symposium; we would like to acknowledge the intellectual and financial support they provided to the Southeast Europe Academic Women’s Leadership Network. 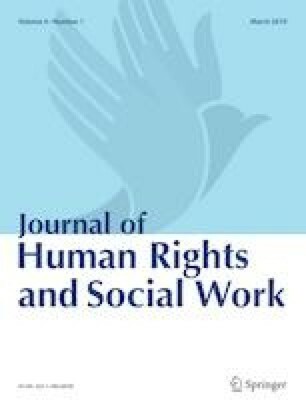 The authors of the special issue have focused on the role of social work as a human rights profession in such circumstances; the articles present social work responses and from temporary state responses and social work practice framed in a structural anti-refugee attitude to the social work actions carried out by local and international NGO’s and social work volunteers. They bring examples of rare but powerful and important good practices initiated by social workers, volunteers, social workers without borders and non-governmental organizations which work in the region and throughout Europe. The volume demonstrates the richness of history and the uniqueness of perspectives along with commonalities of time and place; it provides the analysis to inform future decision-making and policy development in this area and is a source for re-thinking the role of social work education and practice in the field of migration. Each of the articles has its individual focus and method of presentation – reflecting the differing contextual environments; some countries are migrant transit countries, others not; some are members of the European Union (EU) – Croatia, Greece and Slovenia, while others are candidates in process to join the EU –Albania, Macedonia and Serbia. Those aspiring to candidacy are Bosnia and Herzegovina and Kosovo. Whatever their independent status, all are strongly influenced by the various treaties and conventions of the United Nations (UN) and the EU in their approach to migrants, refugees, asylum seekers, internally displaced persons and returnees as well as their relationship to national diaspora. Migration itself is an historic reality and a constantly occurring phenomenon. Its motivation is varied and determined by context as well as by personal motivations. Persons voluntarily seeking better opportunities for the development of their human potential through employment or education do so usually unnoted in the annals of history. A rather different trajectory exists for those persons whose migratory behavior is less voluntary, i.e., driven by severe economic hardship, safety and security concerns, including ethnic, religious and gender discrimination and persecution as well as the ravages of war and open conflict, sexual assault and environmental degradation. How societies respond is a test of their humanity and a harbinger of our shared future of either peace and stability or confrontation and destruction. Although various laws and regulations, treaties and conventions spell out and guarantee the human rights of migrants, nations overall seem ill prepared to deal with the rising numbers of persons whose only hope is to find a place to live that provides them the opportunity to pursue life with a future characterized by security, economic viability, education and health care for their children and a future of hopefulness. In each country the context is different and dependent on its history and the vision it holds for itself. It establishes its own threshold or ability to respond with a human rights perspective to the most recent and immediate movement of refugees seeking to escape the horrors war and the dehumanization brought by poverty in their homelands. In the lead article Darja Zaviršek and Barbara Rajgelj pose a question: to what extent can we speak of social work practice in support of refugees in some postsocialist Southeastern Europe at all, when state-based social work institutions interpelate the practitioners into the executioners of the state directives. The antirefugee sentiment that accompanied the migrants can be traced to stem from the nineteenth Century primordialism: the one-state, one-nation ideology that also was embedded in the very construction of postsocialist states after 1991. Consequently, refugees are seen as the ultimate danger to everything “ours”, to women, men, and children of purportedly pure-blooded ethnonational origin. The rising postsocialist primordialism, intertwined with conservative ideologies, directly affects social work education and practice. Antirefugee sentiment, culturalisation and neopatriarchy are rationalized with arguments of fear and care; protecting the cultural and biological homogeneity of native residents leads to processes of coercive care. A similar process is discussed by Marta Stojic Mitrovic, who writes to the Serbian experience, with a focus on how the organized response to migration movements was transformed between 2015 and 2017 and the subsequent challenges in Serbia. Of particular interest is her detailing of how the discussion and debate were adapted to the situation and how the public discussion of migration was organized. She brings to our attention the beginnings of collaboration between the state and private sector (NGOs) based in a humanitarian, human rights frame and the eventual dissolution of this critical partnership as the state exercised control while aligning itself with other EU nations after the closure of the migration routes in 2016. The result was the securitarian approach with little attention to human rights and humanitarian issues. Theano Kallinikaki writes from Greece and brings together the juxtaposed issues of economic austerity and the unprecedented migration numbers of 2015–2016. She explores human rights issues in regard to the current migration context and discusses initiatives taken by social work educators to revise curriculum and incorporate relevant content into curricula at the baccalaureate and master’s levels. Similarly to some other authors of the special issue, she looks at the opportunities for collaboration between social workers in the public and non-governmental sectors in setting up front-line intensive interventions for arriving migrants and those held in camps or resettlement programs, while at the same time implementing projects to tackle the humanitarian crisis for the most vulnerable indigenous population. Writing from Kosovo, an aspirant to candidacy for EU membership and a country caught in the politics of its declaration of independence from Serbia February 17, 2008, Vjollca Krasniqi, provides a careful analysis of the country’s long established patterns of migration and its modernization and implementation of policy within the UN and EU treaties and conventions in support of human rights and rights-based social work practice. She speaks to the outmigration of Kosovars and the creation of a substantial diaspora and its relationship to the home country. Embedded in her narrative is the war of 1992–95, the breakup of the former state of Yugoslavia, and the genocidal war of 1998–99 which calls for a strong social work education and research on migration and human rights. Sanela Šadić reflects in particular on the effects of the war of 1992–95 in Bosnia and Herzegovina at the hands of Serbia, and the immense displacement and migration of her country’s population as asylum seekers and refugees into neighboring countries in Southeast Europe as well as western European countries such as Germany, France, and the UK. Her article paints the picture of profound deprivation and violation of human rights – issues of safety, education, health care, employment and shelter. Through her own research, she examines not only the breakdown of societal integration resulting from the Dayton Agreement of 1995, but the extent to which Bosnians have not returned to their homeland and the reasons underlying these patterns. She also attempts to understand the perceptions and behavior of social workers as they deal with these complex issues of migration, discrimination and human rights. With a specific focus on Albanian outmigration, the creation of the Albanian diaspora and the recent migrant movement through Southeast Europe, Elona Dhembo, Veronika Duci and Zana Vathi help us to understand the history of this previous totalitarian state and the migration of peoples in recent times. The authors place Albania in a larger structural context of Balkan migration, but more specifically focus their analytic attention on those Albanian returnees and their reintegration into Albanian society with implications for the social care sector. This leads them to conclude the lack of congruence between evidence and policy making, especially as concerns human rights. As well, they suggest the absence of a cross-sectional approach to addressing the issues of migrant reintegration within a human rights frame. Gordana Berc, writing from Croatia, speaks specifically to the experience of Croatia as a transit country for migrants during the 2015–2016 movements of more than 600,000 people through Croatia and into more well developed western EU countries. In a very short span of time, Croatia was faced with the challenges of processing the legal registrations of asylum seekers as well as the provision of essential services; health care, accommodation, food, psychosocial support, and education for children. The situation required a new and strong collaboration between the public and private sectors. In addition, as noted by Berc, it became an opportunity to review and revise social work curricula in ways that would educate practitioners more fully in the provision of essential services for a vulnerable, primarily transit population. Beginning with a detailed summary of the 2015–2016 general situation with transit migration, that is, the sizable numbers of migrants, their ill treatment generally, and the violation of their human rights, Suzana Bornarova writes in detail about the ill-preparedness of her country to deal effectively with the situation. She underscores the scarcity of resources and the political and economic challenges of her country of 2 million people in developing the appropriate legal protections from a policy perspective and subsequently the more practical steps that were taken by the government of Macedonia to ensure effective, rights-based interventions. Bornarova closes her narrative with a focus on the social work response including the educational perspective needed to secure an appropriate response to the unprecedented numbers of migrants transiting through Macedonia to economically well-developed countries of the EU. The article by Erika Bejko and Marsela Dauti, writing from Albania, explores the relationship between evidence and policy making and suggests roles and responsibilities of human rights advocates in the use of empirical evidence in the formation of rights based policy and social work practice. The authors conducted their research with two state agencies in Albania (Department of Social Welfare Policies and the Department of Urban Services) and developed a typology of responses to questions about the use or nonuse of evidence by policy makers. Although the authors acknowledge the uniqueness of the context, i.e., the transition from a closed totalitarian regime, to an open, democratic society, they suggest that there may be generalizability of their findings to other contexts in Southeast Europe where the emergence from totalitarian to democratic states continues as a twenty-year transition. The special issue ends with the article by Marit Bugge who critically examines the Dublin Regulation and its impact on asylum-seekers, disputing the claim that the Regulation is in accordance with human rights treaties. By drawing on case studies of asylum-seekers arriving at refugee shelters in Berlin from Eastern and Southeast European countries, the article demonstrates that the Regulation’s genuine motive is to deter and control non-EU nationals. The case studies show that surveillance mechanisms and EU laws inflict slow violence on asylum-seekers. By applying Hannah Arendt’s remarks on Adolf Eichmann’s “inability to think”, she suggests that a similar process of “thoughtlessness” is at work within the current human rights violations of the Dublin Regulation. Drawing on the historical legacy of the social work profession, she ultimately proposes a social work model of civil disobedience as a counter strategy. This special issue of the JHRSW calls for a more engaged, socially responsible and innovative social work education and practice, as Southeast Europe likely will remain the entry point of migrant people from the Middle East and Africa in the future. It suggests that in times when the anti-refugee sentiments are growing, promoting social work as a human rights profession is not without danger to those who teach it and persons who practice advocacy-based social work. Therefore, international alliances and engaged support of academics and professionals who are under attack are needed more than ever and mutual learning, understanding and a humanistic acceptance of people’s differences and diversity is the fundamental starting point for our shared, future existence. Frontex maps. https://www.google.si/search?q=Primary+migration+routes+to+Europe,+%3EFrontex+2016&tbm=isch&tbs=rimg:CctMyjoXQD8cIjieRyGGgi7KR_1gLI3UlKafVPYwzFJZ4Q0YyLuh7fimivix2CkgOYLpBTqPGgnK9qfNogJ2Yvo3QVyoSCZ5HIYaCLspHEX3h6bv4nnN8KhIJ-AsjdSUpp9URYHAXstosZf4qEgk9jDMUlnhDRhHe9qfV06xg-ioSCTIu6Ht-KaK-EW7Z9MtlchtEKhIJLHYKSA5gukERBb2MHCjUNksqEglOo8aCcr2p8xEbBENY1msKwCoSCWiAnZi-jdBXEWBwF7LaLGX-&tbo=u&sa=X&ved=2ahUKEwiks_Xu597fAhUKmRoKHUSQCCwQ9C96BAgBEBg&biw=1280&bih=588&dpr=1.5 (6 th December 2018).